Courtney Barnett blowing the doors off her headlining set at A Festival called PANAMA, 2015. Artwork is Mechan 9 by Tyler Fuqua. Angel dies in the University of Queensland’s theatre production of RENT. Visitors at GOMA, Brisbane interact with Anthony McCall's installation 'Crossing' as part of GOMAs 10th anniversary exhibition. The sun sets over Burning Man 2016. The festival is held annually at Black Rock Desert on the playa, a dried up lakebed or sink. The subsequent dust causes the trademark Burning Man white-outs when the wind picks up. From an event organised by Unqualified Design Studio, a collective practice of Architects, engineers, artists, and performers, devising interactive and participatory experiences. Ijen Crater in eastern Java has recently become a tourist destination, largely due to the blue flames visible at night inside the crater. Ijen is the only volcano in the Southern Hemisphere to emit the blue flames, caused by the combustion of the gases emanating from the sulphur mine operating inside the crater. Sulphur escapes out of pipes deep within Ijen Crater, a sulphur mine inside an active volcano in East Java. Ijen is also a tourist destination due to the blue flames visible at night inside the crater from the combustion of the sulphuric gases. The miners carrying the sulphur out of the crater and down the mountain work in these gases all day, making multiple trips carrying up to 100kgs of sulphur each time, for an average of $10US. Brisbane community radio station 4ZZZ presenter Hayley Elliott-Maclure. 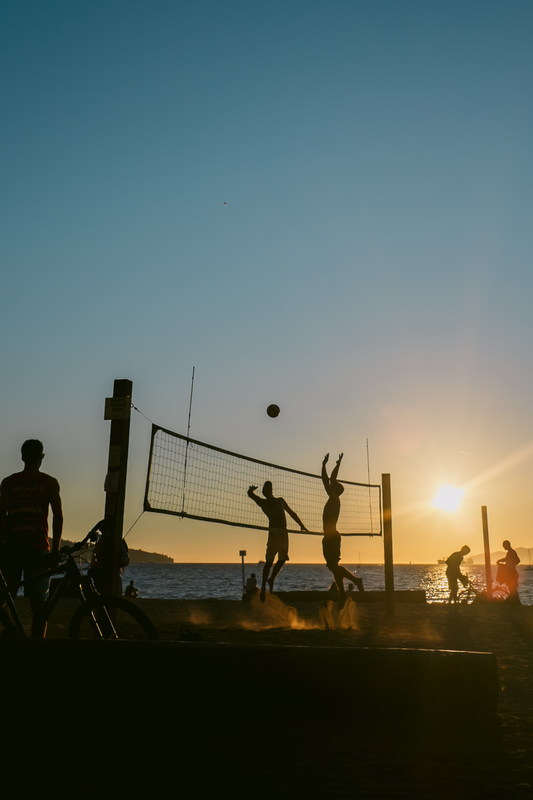 Locals enjoying their summer afternoon at Kitsilano Beach, Vancouver BC. Tourists at Waikiki beach on Oahu. Initially a retreat for Hawaiian royalty, Waikiki is now Hawaii’s tourist hub and one of the most famous beaches in the world. The Golden Gate Bridge in San Francisco disappearing into the clouds. The bridge has been a magnet for tourists since opening in 1937. Asahidake is a cross country skiing mountain on Hokkaido, Japan's north island. The mountain is unpatrolled, there are no pistes, just a vague map and one cable car. Unexpected drop offs, unstable snow bridges and ravines steaming from the volcanic current underneath the surface create a dangerous playground. Some tourists are unprepared for the conditions. These skiiers are attempting to climb back up the mountainside after skiing off a ledge, coming within metres of falling into the volcanic gully below. The Invasion Day 2017 march through Brisbane CBD drew huge crowds, calling for Australia to Change the Date from January 26th out of respect for the Indigenous people. Students attend Light the Dark, a vigil held for Alan Kurdi, a 3-year old Syrian boy found on a Turkish beach after drowning at sea. He and his family were fleeing conflict in Syria in 2015. The image of Alan’s father holding his body on the beach was seen worldwide, causing many to call for a more empathetic response to the increasingly severe refugee crisis. A polar bear at the Asahiyama Zoo in Hokkaido, Japan. The bear was showing signs of extreme distress, tracing the same path around its enclosure for hours on end. Here it is about to be fed fish to draw it into the water, so tourists can see it through the glass. An event by Unqualified Design Studio, a collective practice of Architects, engineers, artists, and performers, devising interactive and participatory experiences. Instore at Jet Black Cat Music. Part of an event by Unqualified Design Studio, a collective practice of Architects, engineers, artists, and performers, devising interactive and participatory experiences. Last Drinks itself is a mobile jukebox/ micro venue.